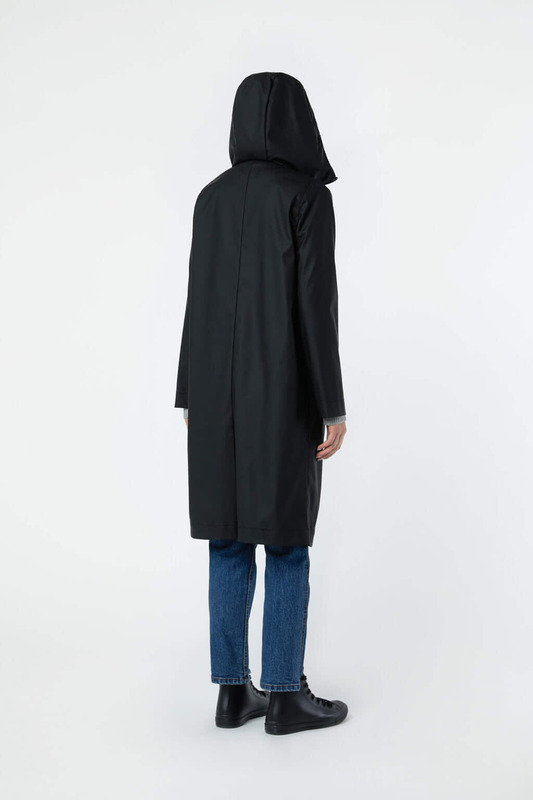 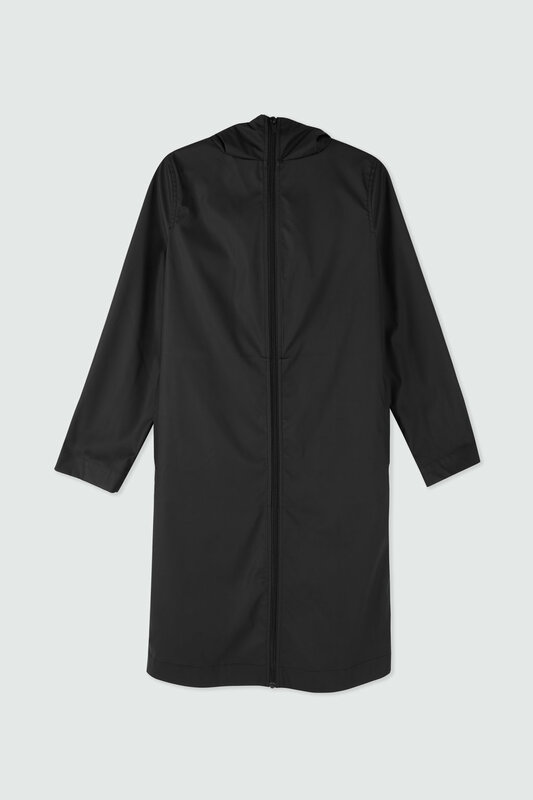 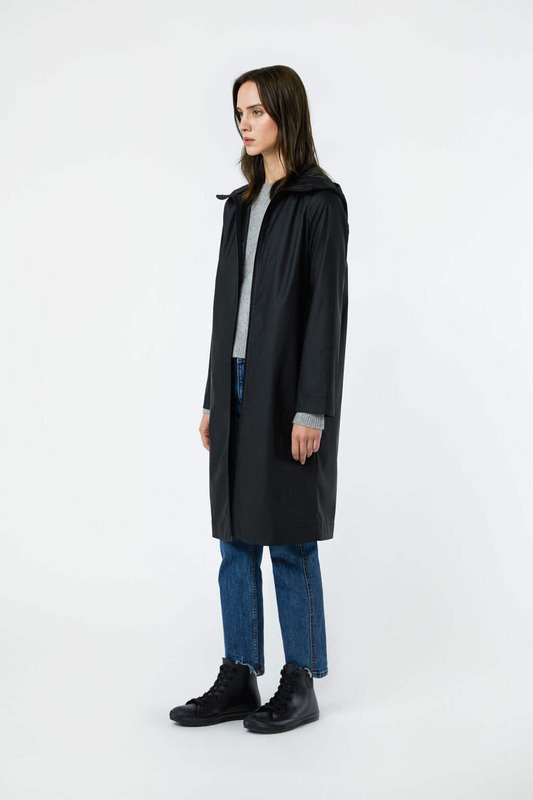 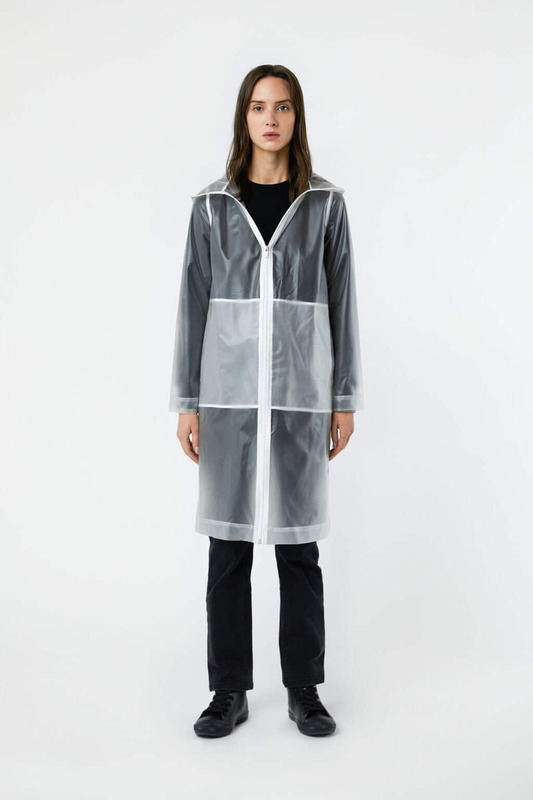 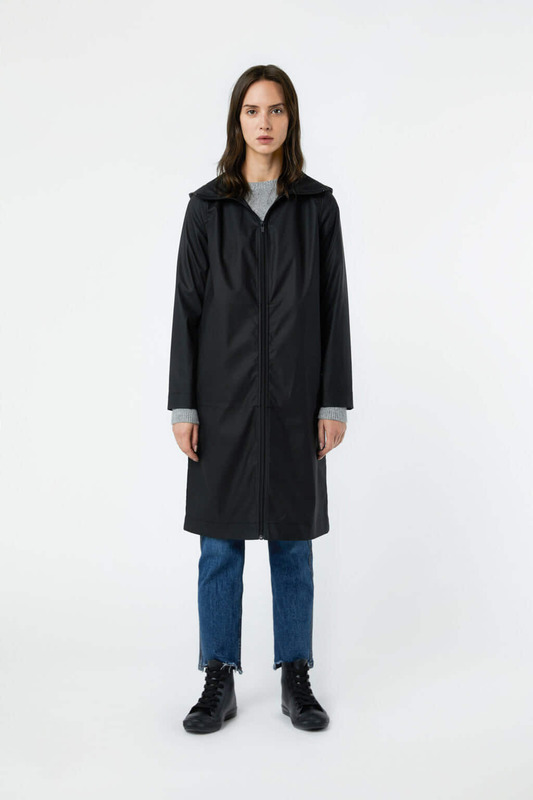 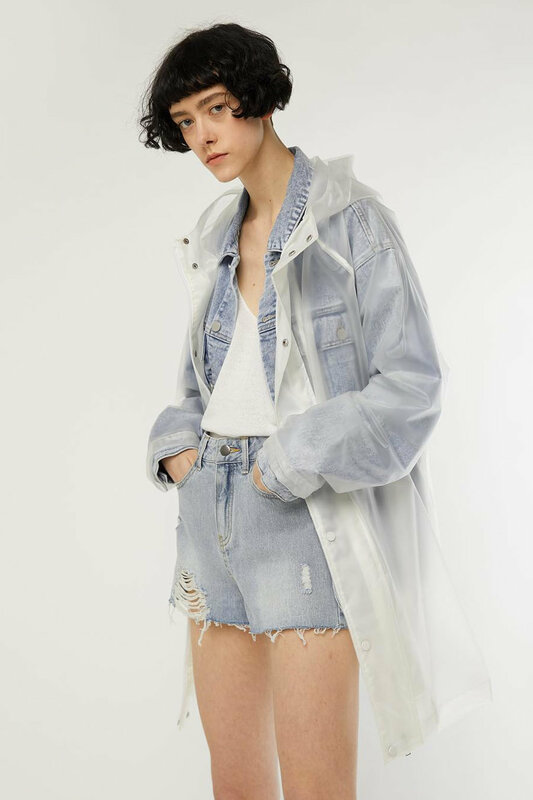 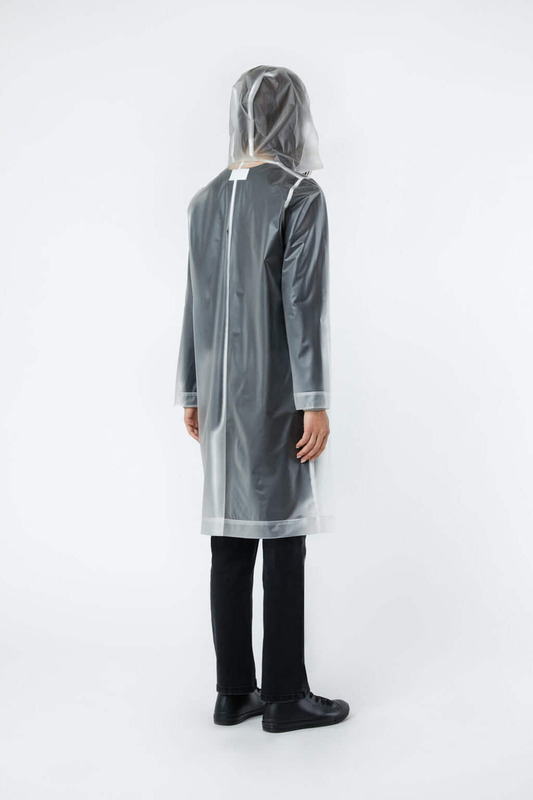 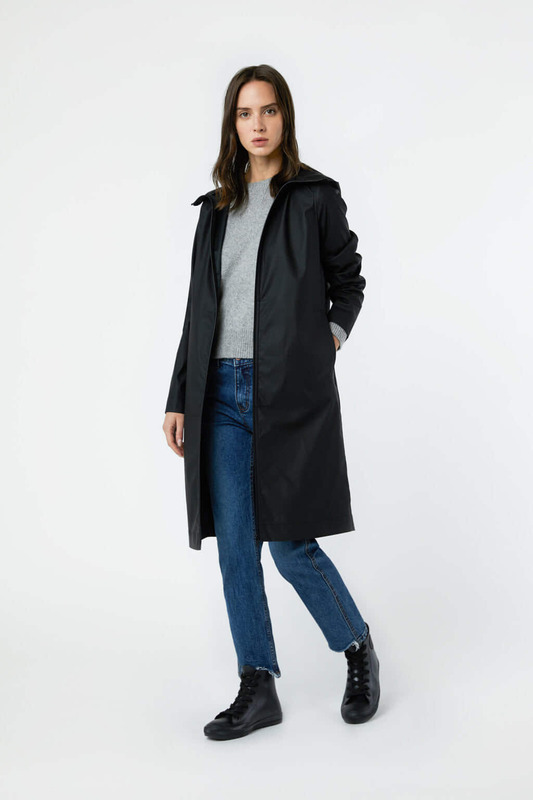 Designed for rainy weather, this hooded raincoat is made with a water resistant exterior and is detailed with a simple zipper closure and spacious front pockets. 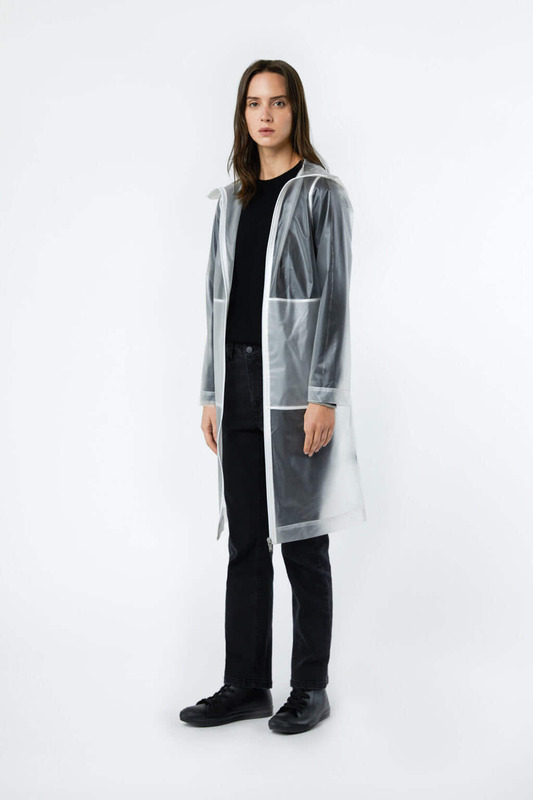 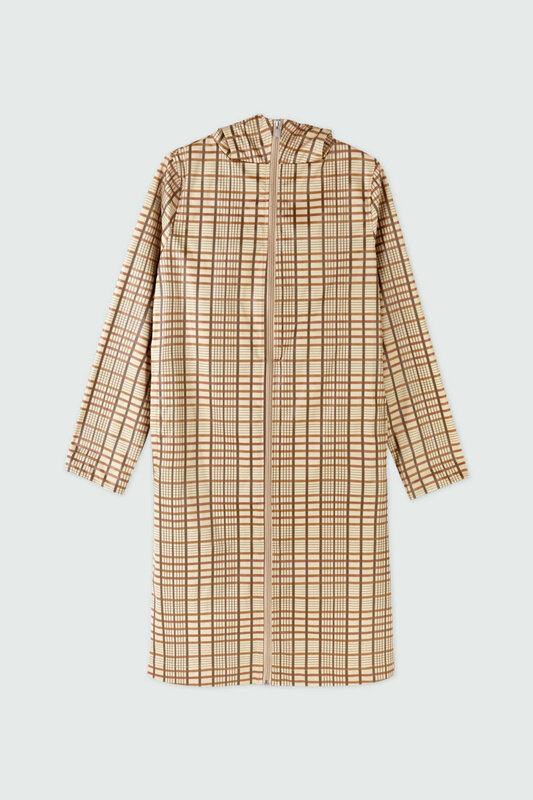 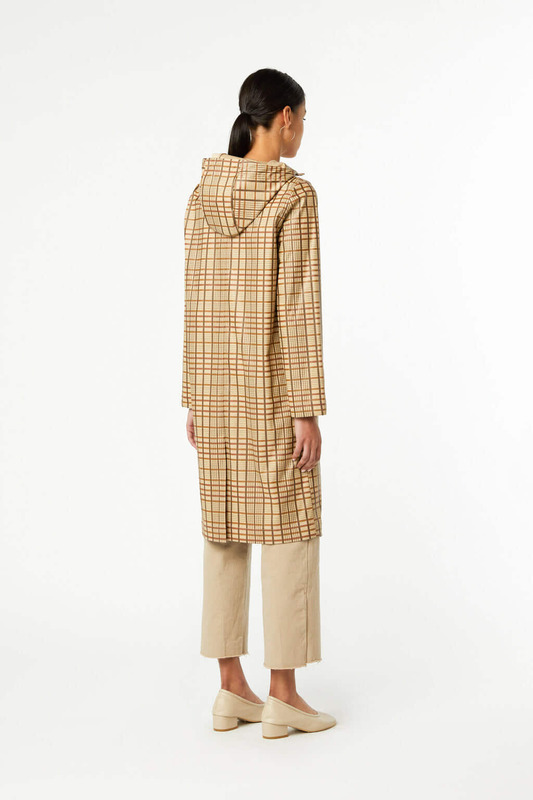 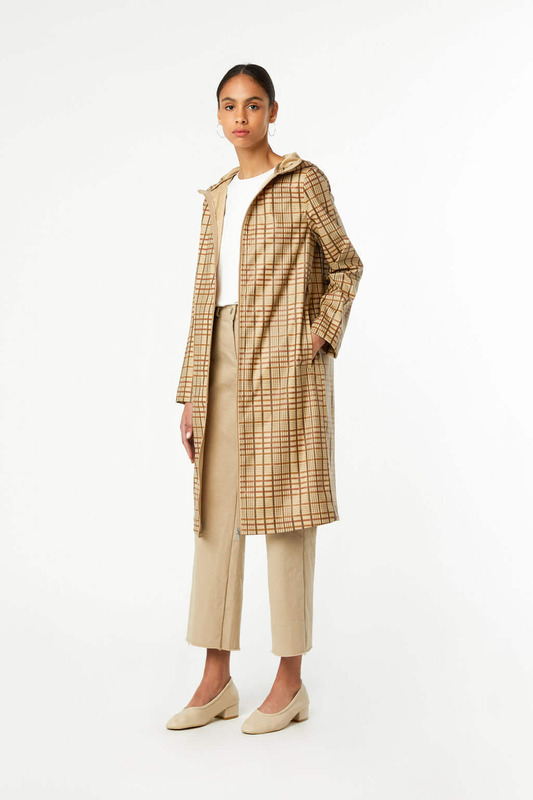 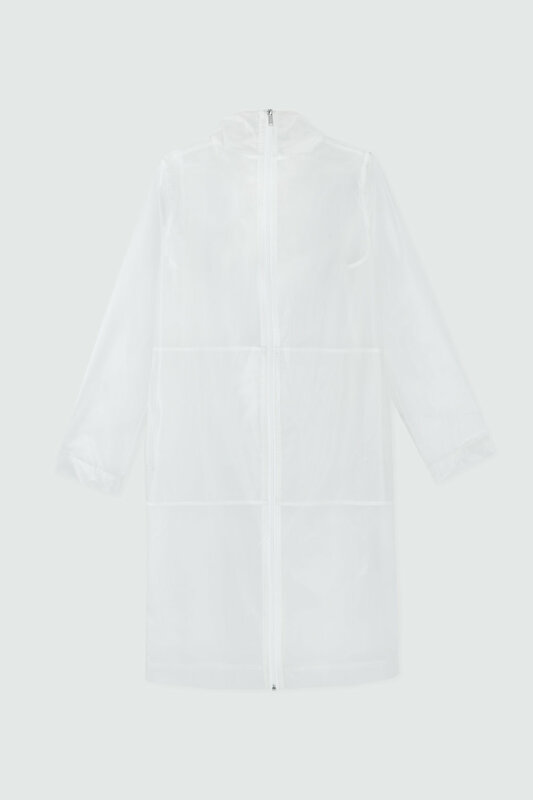 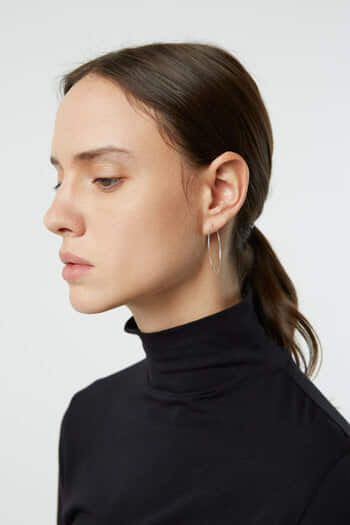 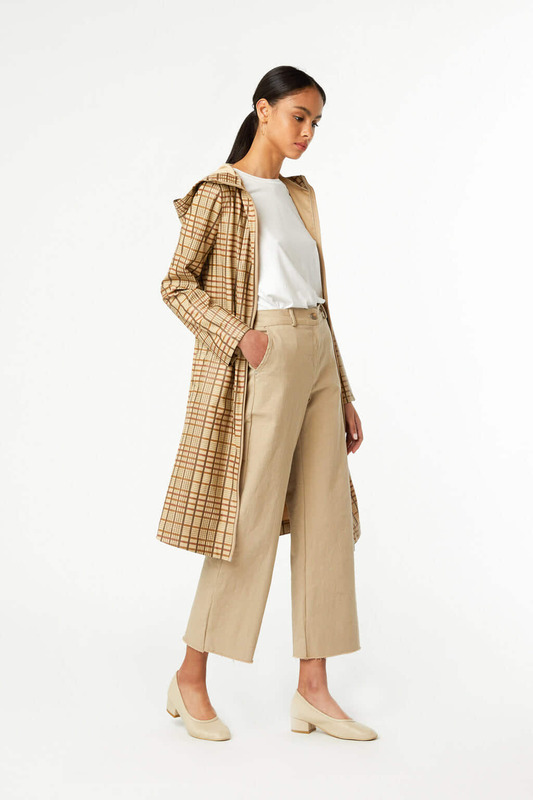 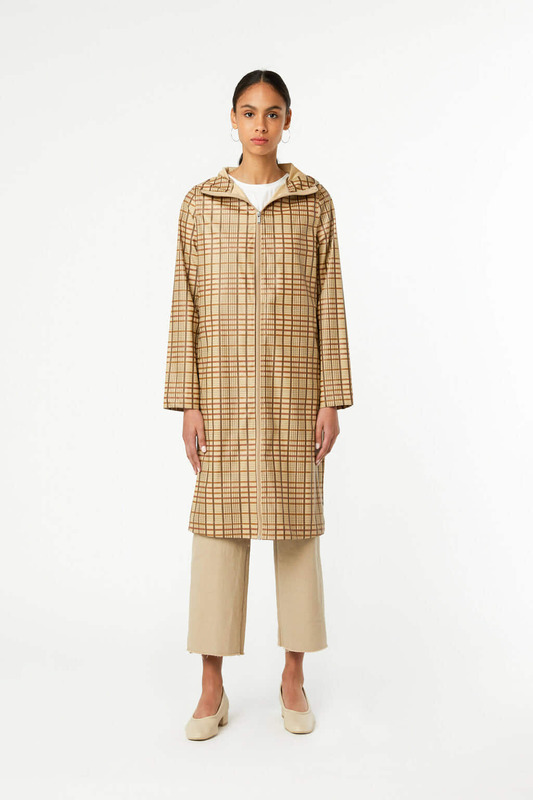 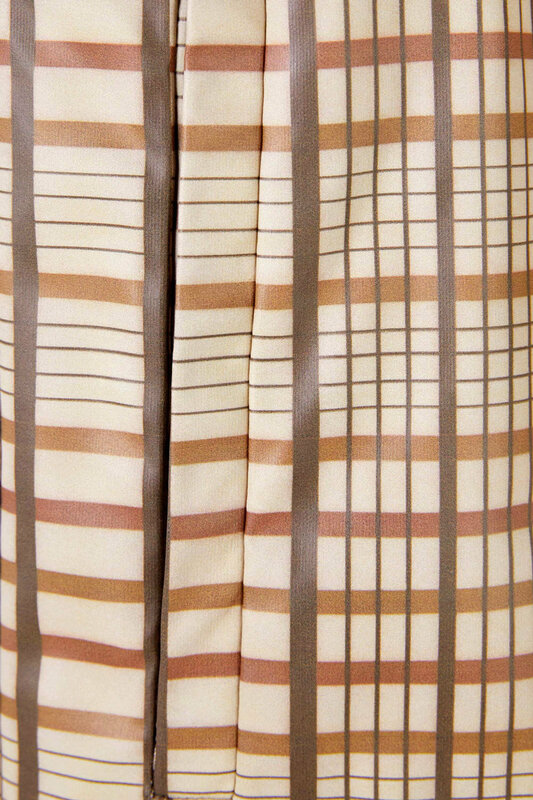 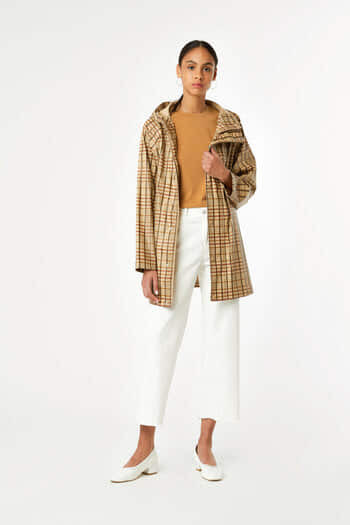 Available in black, a plaid pattern and a semi-translucent option, wear yours with your everyday outfits to stay dry in the rain. 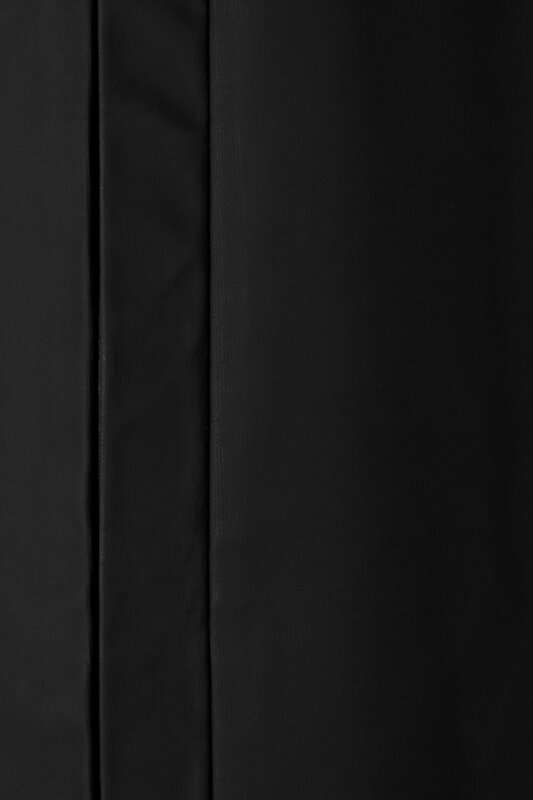 Model in Black is 5'6".